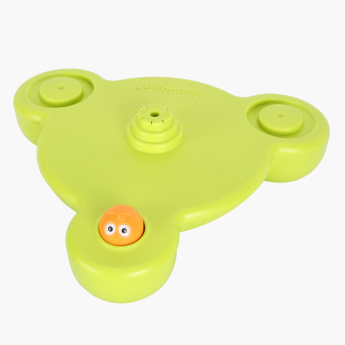 Yookidoo Stack 'n' Spray Tub Fountain Playset | Multicolour | A battery-operated motion . Ensure that your tiny tot is busy and entertained at the same time by getting this amazing playset. 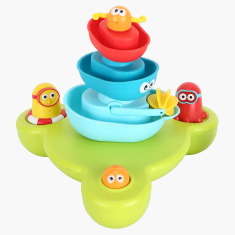 This battery-operated toy consists of five stackable boats and figures which makes it quite unique and entertaining for your little one. 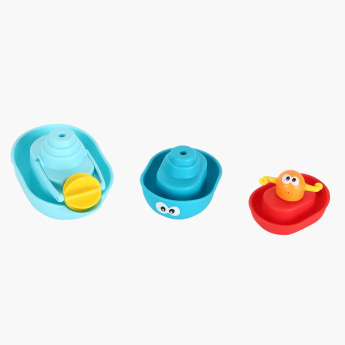 Feature 2 : 5 stackable boats and figures. 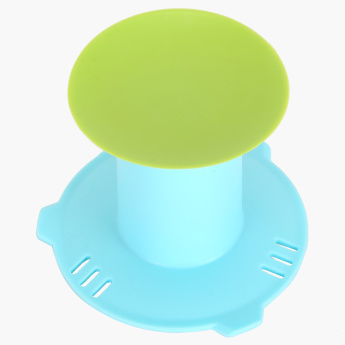 Feature 1 : A battery-operated motion .